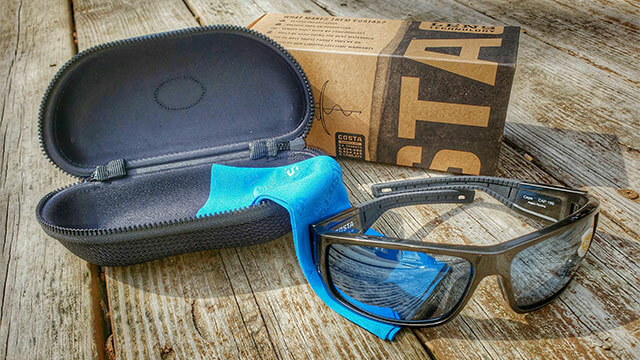 On March 28th, 2018 Costa announced the release of their new Cape Sunglasses featuring an extra-large frame with massive lenses and ultra-wide temples to provide maximum protection from the sun. I must say that I did and continue to get maximum protection with these frames and lenses. I was sent the Cape Shiny Steel Gray Metallic Frame with Gray Silver Mirror 580P lens to review. The open ventilation ports and Costa’s proprietary hypoallergenic rubber called Hydrolite prevent slipping. The nose and temple pads keep perspiration and heat to a minimum while also preventing slippage, and the flexible temples provide all day comfort. However, I found that while wearing these on warmer days I did notice perspiration around the sides of my eyes. It wasn’t too bad but I did need to take the sunglasses off and wipe the perspiration away. In Costa’s defense there was minimal to no wind circulating on these days. The Cape frame is available in matte black ultra, shiny steel gray metallic, bowfin and matte russet. The 580 polycarbonate lenses are available in seven different colors. These type of lenses are lightweight and impact-resistant due to the C-Wall molecular bond which protects the outer and inner surfaces of the lenses. The new frame can accommodate prescription lenses. My choice of lens color was gray which is considered to be a great all-around lens color for fishing. Lens color does matter depending on the conditions. 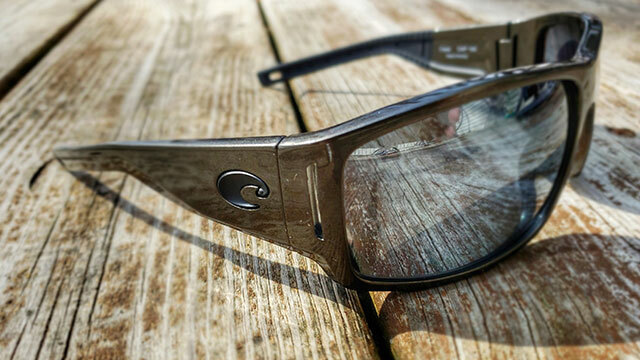 Over the past several years I have reviewed several Costa Sunglasses and can say that the first pair I ever owned are still in great shape and the frames have held up amazingly well. There was only one pair that I needed to send in for lens repair. Their customer support was great and the process was seamless. For more information on the Costa Cape Sunglasses, visit CostaDelMar.com.